Peter and Paul fortress – is the first class fortified structure of the XVIII century, one of the main sights in Saint-Petersburg. 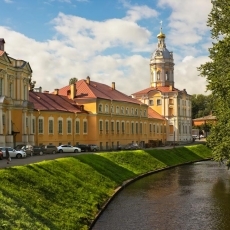 Peter and Paul cathedral, which is located on the territory of the fortress – is one of the main symbols of the city, necropolis of the Royal Romanov Family. 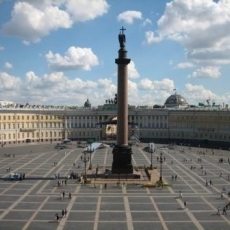 Here you will find the fascinating walking route “Nevskaya Panorama”, famous prison of the Trubetskoy Bastion, different museums, exhibitions, midday shot from the walls of the Peter and Paul Fortress. Entrance ticket in Peter and Paul Cathedral and Grand Ducal Burial Chapel: for adults - 450 RUR, for school children and students - 250 RUR. 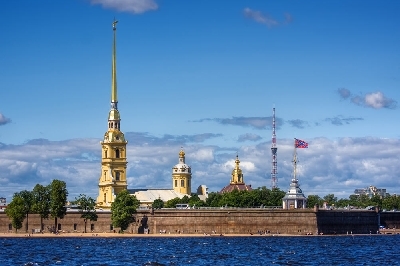 Peter and Paul Fortress is one of the main sights of Saint-Petersburg. This structure represents the work of the great military engineers with the group of buildings, among which there is the Peter and Paul cathedral – not only the highest architectural monument (122.5 meters) and the third highest building in the city, but also one of the most popular symbols of the city. Peter and Paul Fortress from the day of its foundation was used as the main prison for political criminals in Russia and never had to do with military actions. 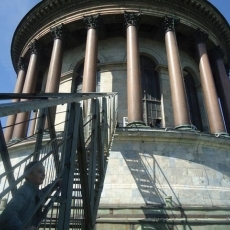 One of the bright examples of the political prisons from 1872 till 1921 was the prison of the Trubetskoy bastion by the engineers K. P. Andreev and M. A. Pasipkin, which was constructed in 1870-1872 and became the central jail for the people, accused of state and legal criminal acts. Prisoners were kept in really stringent atrocious conditions without any contacts with the outside world (meeting were forbidden as well as correspondence and even communication with other prisoners), also, smoking was prohibited and reading of books (the Bible was the only exception). Such atmosphere inside the prison often led to the uprisings of the accused. 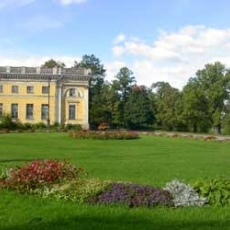 Originally, the structure provided for 73 single cells, but from 1878 its number was reduced to 69. 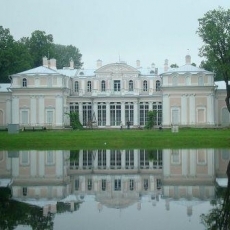 For the period of its functioning there were more than 1500 people: from 1870 till 1880 there were revolutionists P. A. Kropotkin, G. A. Lopatin, V. N. Figner, A. I. Zhelyabov, N. A. Morozov and the older brother of Vladimir Ilyich Ulyanov-Lenin – Alexander, from 1890 in its cells there were A. S. Shapovalov, P. N. Lepeshinsky, M. A. Olminsky, N. A. Bauman; during 1905-1907 the writer Maxim Gorkiy and other opponent of the further bloodshed became the accused; also the prisoners were the participants of the Petersburg Soviet of workers ' deputies L. D. Trotskiy, A. L. Parvus, members of the socialist party B. V. Savinkov, E. K. Breshko-Breshkovskaya, S. V. Balmashev, V. M. Chernov. After the February 1917 the government Ministers at the Royal personage, the leaders of the political investigation Department were brought to the jail. And in the October 1917 there were members of the Provisional Government and military rebellion, the activists of the cadet party and other discontented with the power of the Bolshevik’s party. The isolated custodial system was only for several accused, for the others there were the mass cells. The official closing of the prison was in 1918, but several prisoners were there till 1921. Since 1924 this place became the real evidence of the cruelty of the old days. Now in the museum you can see the archive materials, photos, videos, audio files of the memories of the prisoners, the halls and cells, which were preserved up to our days. 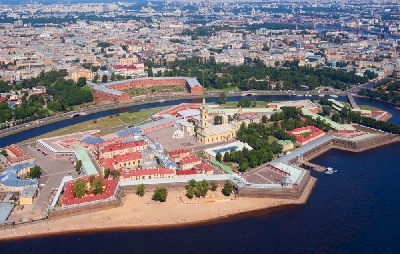 The Peter and Paul Fortress was laid on the 16th of 1703 on the Zayachy Island by the decree of Peter I, who created its construction plan together with the French engineer Joseph-Gaspard Lambert de Guerin. 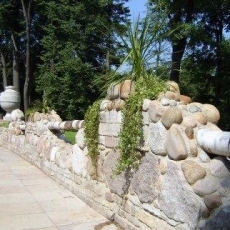 In the project of the fortress there are six bastions (Gosudarev, Narishkin, Menshikov, Zotov, Trubetskoy, Golovkin), connected together with the curtain walls (Vasilievskaya, Ekaterininskaya, Kronverkskaya, Nevskaya, Nikolskaya, Petrovskaya) and two ravelins (Alekseevsky and Ioannovsky). Ioannovsky bridge connected Zayachiy Island and Petrogradskaya side in 1703. 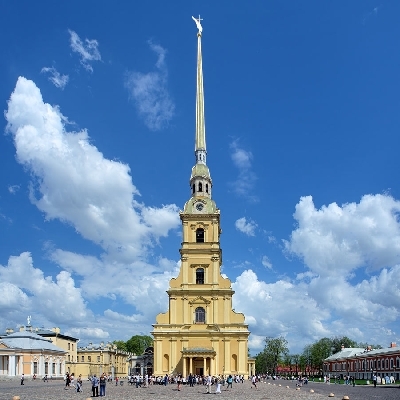 The most important construction on the territory of the Peter and Paul fortress is the Peter and Paul cathedral, which was erected here in 1712-1713. A lot of masters took part in the construction and repairing process of the cathedral after the war: the lead architect - Italian D. Trezzini, the spire of the cathedral was made by Harmen van Bol'es, gilded covered iconostasis - by I. P. Zarudniy, stucco décor - by C. Rossi and A. Quadri, the paintings - by G. Gzel and V. Yaroshevsky, the chiming clock - by B. Oort Krase, bronze Tsar's gates - by A. I. Karau and many others. 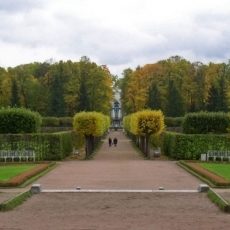 Since the reign of Peter the Great the cathedral became the burial place for the members of the Royal Family. 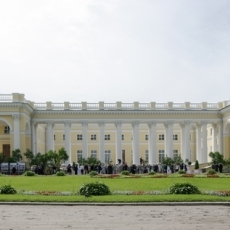 Among the buildings of the Peter Paul cathedral there are also Grand Ducal Burial Vault, the Mint, the Boat house, The Commandant's house, the Carriage room, the prison, the Crownwork, Engineer's house and other. The tradition to celebrate something by the shut out of a cannon from the Narishkin Bastion formed only in 1730s, later the salvos signified the beginning and the end of the day. However, this tradition became the daily one only since 1973. In 1934 it was decided to stop the salvos, but since 1957 it was revived. In the XIX century from the 11 a.m. till 12 a.m. wonderful music of the orchestra was heard from the Peter and Paul fortress. 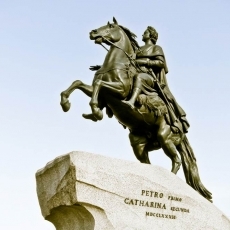 During the October Revolution 1917 the garrison of the Peter and Paul fortress supported the Bolshevicks, who took up arms against the Provisional Government. 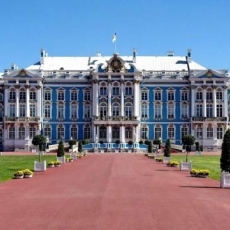 And during the storm of the Winter Palace, the weapon blank shots were made from the Peter and Paul fortress. 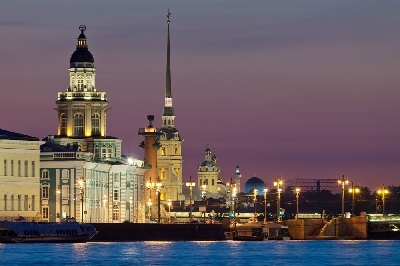 Nowadays, the Peter and Paul fortress - is the part of the State museum of the History of Saint-Petersburg. While you walk along the upper platform of the Nevskaya curtain wall (also known as “Nevskaya Panorama”) from Gosudarev to Narishkin bastions, the wonderful view over the heart of the city opens right in front of you: Palace embankment, Spit of the Vasilievsky Island, Trinity and Palace bridges, the Admiralty and the Saint Isaac’s Cathedral. 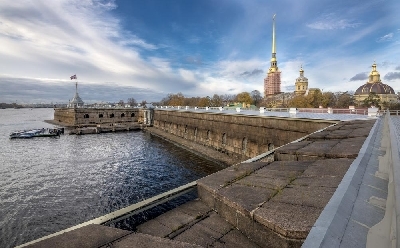 From the roof of the fortress wall you can enjoy the group of the buildings of the Peter and Paul Fortress, see the Memorial sign on the Gosudarev bastion, which marks the beginning of the construction of Saint-Petersburg, to observe the upper walls of the Flag tower with the flagstaff mast and 14 meter jack on its top. Daily at midday you can witness the ritual of the symbolical midday shot.